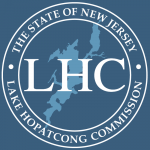 The Lake Hopatcong Foundation and Lake Hopatcong Commission are joining together to promote a lake-wide cleanup of debris accumulated in the lake since the last drawdown. Please join us on November 3, 2018 from 8am to 12 noon to help remove debris from the exposed lakebed in an effort to make the lake a healthier place. We are looking to recruit 40-50 team leaders and hundreds of volunteers. Local groups and organizations are encouraged to assemble teams to participate. During the last 60-inch drawdown, we coordinated more than 400 volunteers who accessed the lake from nearly 40 locations, and pulled more than 23,000 pounds of debris from the lakebed. We hope you will join us this year for another amazing and fun day for the health of our lake!